Settlement agreements usually arise in the context of a claim that could potentially be made by an employee against an employer. They are often used if an employment relationship is being brought to an end or where there is a dispute that needs to be settled for an ongoing relationship to continue. Settlement agreements can be a very useful tool for both employers and employees who are looking to bring some certainty to a relationship that has become complicated. It is a contract between an employer and an employee that sets out the terms of an agreement that has become necessary due to circumstances that have arisen. For example, an employee may be having performance issues and both parties may be willing to bring the relationship to a close on agreed terms. It is a settlement agreement that will be used to put those terms in writing and to provide a legally binding record of what was agreed. What does a settlement agreement contain? The agreement will set out the potential claims that the employee is agreeing not to make in return for the payment that will be set out in the settlement agreement. The key part of the document for an employer will be the waiver that means the employee won’t be able to pursue claims, such as breach of contract. For the employee, the essential terms will be those that define the claims in question and the payment in return for not pursuing them. The payment terms and amounts must be clearly set out and also state whether or not the payment is to be taxed. Payments that are considered to be “ex gratia” i.e. voluntary as opposed to as a result of a legal obligation, can be tax free up to £30,000. However, this may not be the case every time so it’s often a good idea to get legal advice on this part of the contract. What makes a settlement agreement legally binding? How is the settlement amount agreed? There is no specific formula for working out how much should be paid for different claims and this will depend on the parties and on the circumstances. A number of different factors may have an influence here, including the reasons for offering the settlement agreement, the number of years of employee service, how much it would cost to take a claim to an employment tribunal and what the likely timeframe for a dispute would be. Confidentiality. It’s common practice to include a clause that requires the settlement agreement, and its terms, to be kept confidential. The clause may also require the employee to avoid making negative comments about the employer. References. The agreement may include specific wording for any reference an employer is to provide about the employee to another future employer. Exclusions. The agreement will also identify anything that the employee is not giving up by signing the agreement, such as pension rights. 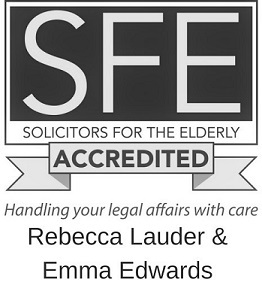 For further advice on settlement agreements in Lancaster or Preston please call 01524 386500. Newer PostWhat should you consider before buying property with another person?